Stay comfortable in your home-office or cubicle with the Merax Adjustable Office Chair. Featuring a soft, polyurethane leather seat, adjustable height, and a metal base, this chair is durable enough to last years to come. 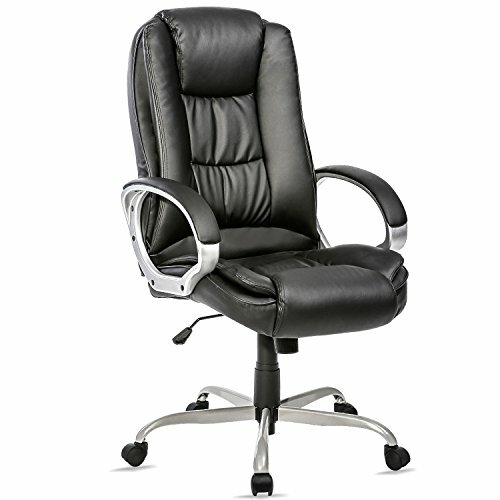 Keep this classic, executive style chair in your home office or workstation to stay comfortable and productive.